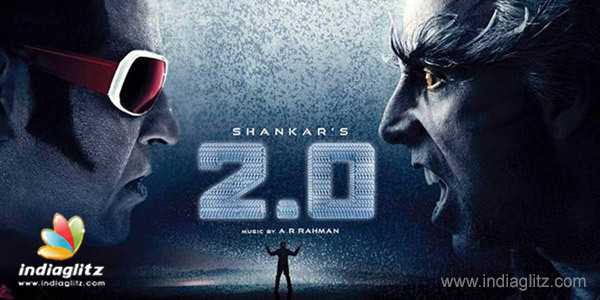 Higher-than-ever standards, tough expectations, and a dream budget, 2.0 is gearing up to raise the bar for Indian cinema in the world arena, with the movie releasing in more than a dozen languages worldwide. The upcoming extravaganza is a conglomerate of everything big - Shankar, Rajinikanth, AR Rahman. For the Mozart of Madras, the scale has virtually never dipped; currently on the cloud with Mersal's success, here's the breakdown of the next hotcake for music buffs. The lyrics are by Ananth Sriram and Bhaskarabhatla. Sid Sriram, Shashaa Tirupati, Blaaze, Arjun Chandy and Nivas render the numbers. It's not just a romantic song. Set on a steady rhythm, the song witnesses three genre transitions in all. Opening on dubstep, the song goes through a single point jolt through to electronic, gliding down to melody, gathering up back to dubstep, coming around a full cycle once more, tapering off as melody. Dominated by electronic notes, treble, and associated tastes, the song does have minor relief in the background with a note or two of tingles. On the whole, this song is a sweet flowing unique duet, packaged in a lot of technology. Minimal yet power-packed, 2.0 is more a medley of two emotions, four genres, and a lot of tech, than an album. Slowly building on zest, the song is an energetic mix of jazz set on dubstep rhythm with pop. The main standout of the song is that it does not have a singleton background support, nor the typical off-and-on pump, but is a steady increase in the amount of bass, eventually sloping down to a break, followed by thump-up again, thus leaving us with a lingering feeling of its majesty, minus the stereotypes associated with such genre. On the lyrical front, the song is descriptive of the combat power of the robot, in colloquial language. Overall, the song makes for the perfect re-introduction of the all-powerful Chitti. Verdict: High voltage, high current, and a lot of power.